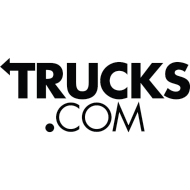 Trucks.com is a news site that covers the transport, logistics and automotive industries. Our content follows breaking news in commercial trucking, including labor, financial and regulatory issues, as well as new product developments. We also report on advancements in safety and autonomous technology, alternative fuels and drone delivery. Our coverage of the consumer market centers on advancements in the light truck segment – which includes pickups, SUVs, crossovers and vans – sales and market analysis, new product announcements and vehicle reviews. Trucks.com started in March 2016 and is headquartered in Tampa, Fla., with an editorial office in Long Beach, Calif.